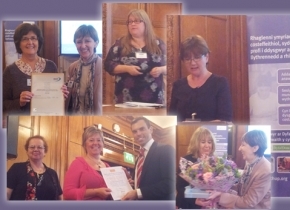 A very successful ‘Catching up with Catch Up® conference’ took place in Cardiff at the end of September. The conference got off to an excellent start with a keynote speech from Ken Skates AM, Deputy Minister for Skills and Technology. Ken Skates gave an update and re-affirmation about the priority that the Welsh Government is giving to literacy and numeracy. The Minister then presented Catch Up® Excellence Award certificates to schools that have achieved the award. Then we heard about Catch Up® success in Wales, reporting that Catch Up® has now trained 5,500 supporting adults in Wales to date, making a difference to over 100,000 struggling learners! We had an update about ‘beyond Wales’, bringing the grand total of trainees to 19,000, making a difference to more than half a million struggling learners!!! Jacquie Chan (System Leader for GwE – North Wales Consortium) and Eleri Jones (ALN Teacher for Denbighshire LA) spoke about their strategic use of Catch Up®, moving to Consortia. Keri Ellis (Catch Up Co-ordinator, ALN, Ty Dyffryn) told us of the impressive work of the Catch Up® team and the positive impact of the Catch Up® interventions in Caerphilly.